The first week of December is flu vaccination week! If not, here’s your reminder… If you are able, get your flu shot! 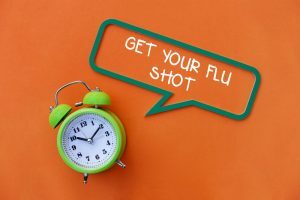 Check out this article from the American Lung Association about preventing the flu. The flu shot is covered by most health insurance plans. It also causes little to no reaction, and don’t worry–the flu shot is an inactive virus, so it won’t make you sick! In addition to getting the flu vaccine, you should also wash your hands often. When you wash your hands, do it for about 30 seconds or the amount of time it takes you to sing the “Happy Birthday” song twice! Try to stay away from people who are sick and cover your mouth and nose when you cough or sneeze. Together, we can prevent the flu from spreading! Use this NYC interactive health map to find out where you can get a flu shot!